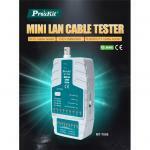 "Good inexpensive device suitable for any network or it enthusiast. 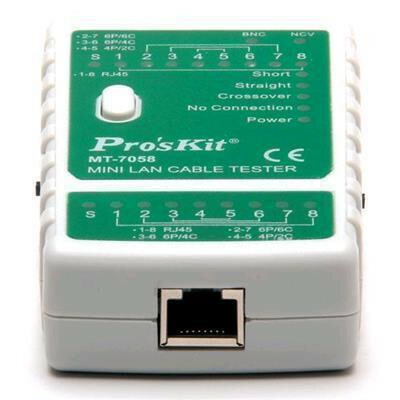 Comes with 12v battery and detachable module for testing long cat5 runs or through patch bays. 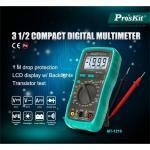 Picks up wiring errors or damage and..."
"Has all the functions I need and more. Great item, and came supplied with a battery." "Also no A23 battery included in mine - thanks to the other comments I remembered to order one at the same time. 1. 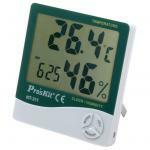 Complies with CE safety standard. 2. 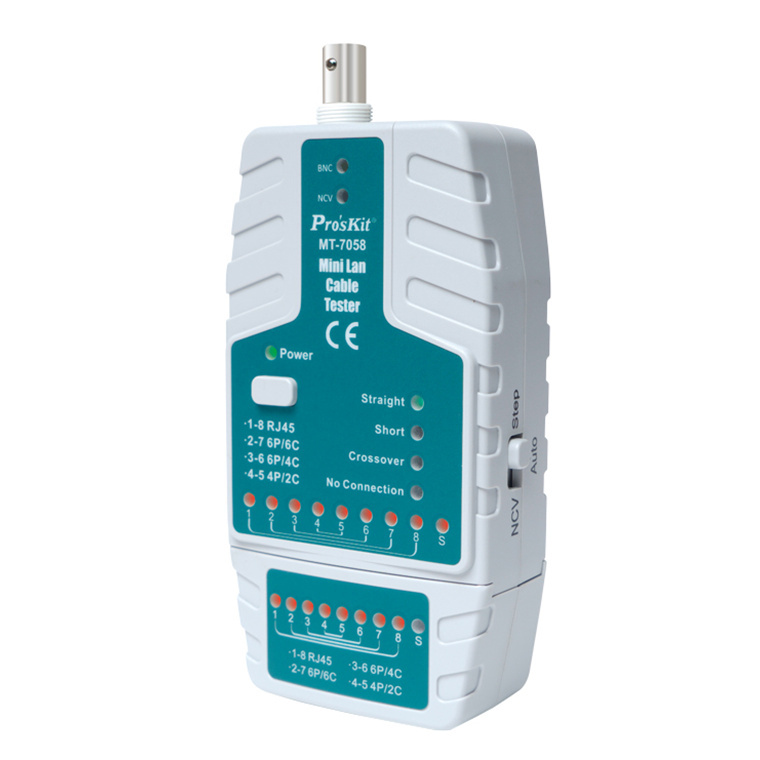 Automatically detect good connections, opens, crossed wires & split pairs. 3. Test RJ45 TIA568A/B (AT&T) 258A), 10 Base-T, Token ring, RJ-11/RJ-12 USOC and coaxial BNC cable. 4. Pin to pin cable map indicator. 5. 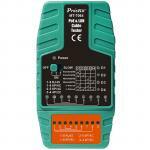 Non-contact voltage detection for user safety. 6. Traces wires with tone & remote lights allows one person operation. 7. Compact size and lightweight design for easy to carry around. 8. Circuit Protection for both units to ensure the testing quality. 9. Low power consumption with auto power off function to preserve battery. 10. Long cable test more than 300 meters. 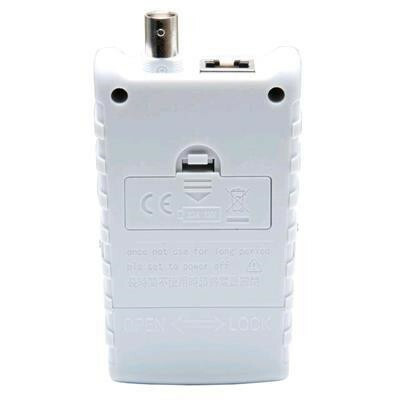 Good inexpensive device suitable for any network or it enthusiast. 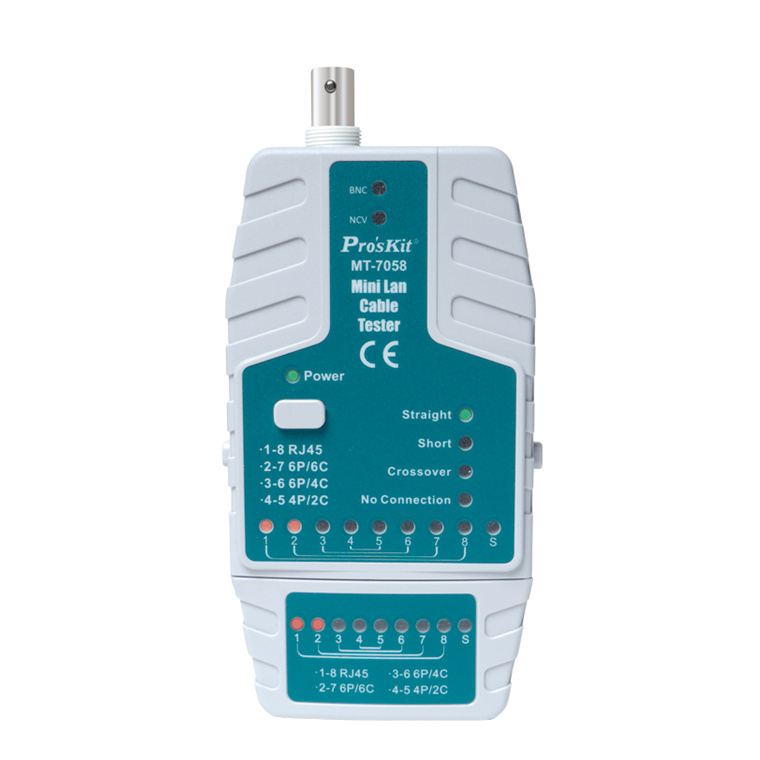 Comes with 12v battery and detachable module for testing long cat5 runs or through patch bays. 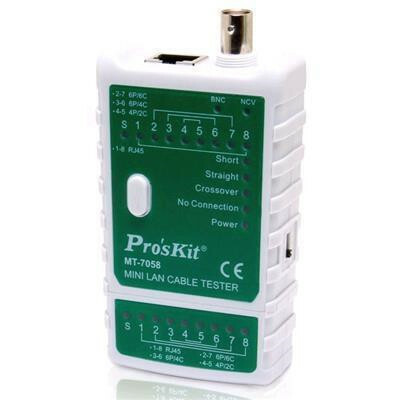 Picks up wiring errors or damage and can identify cross over cables. Can also test video cables and waylines (bnc analogue or SDI digital). Added bonus is a non contact Ac detector for live wiring. 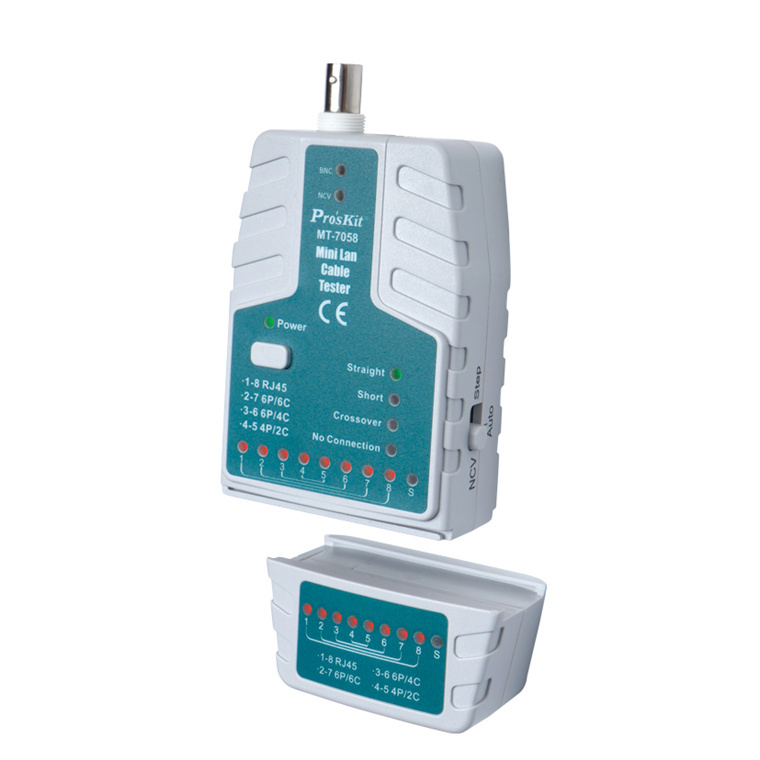 Everything you need!Good inexpensive device suitable for any network or it enthusiast. 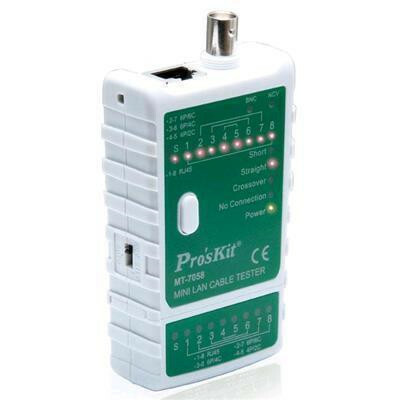 Comes with 12v battery and detachable module for testing long cat5 runs or through patch bays. Picks up wiring errors or damage and can identify cross over cables. Can also test video cables and waylines (bnc analogue or SDI digital). Added bonus is a non contact Ac detector for live wiring. Everything you need! Has all the functions I need and more. 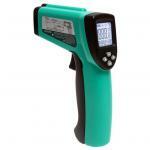 Great item, and came supplied with a battery.Has all the functions I need and more. Great item, and came supplied with a battery. Also no A23 battery included in mine - thanks to the other comments I remembered to order one at the same time. It feels cheap and plastic-y but so will anything else around these price points. The nice thing about this budget tester is that as well as leds for each wire, it also has a few diagnostic leds - so after testing it will indicate if the cable is Straight/Crossover/Shorted. View MoreAlso no A23 battery included in mine - thanks to the other comments I remembered to order one at the same time. If I were you I'd buy two batteries - the resting voltage of my 'new' battery has already dropped a good amount just from playing around with it this afternoon. For occasional troubleshooting this shouldn't be a problem - but if you're intending to test a whole load of cables I'd definitely have a spare handy. I like it but only 4 stars due to the battery type. 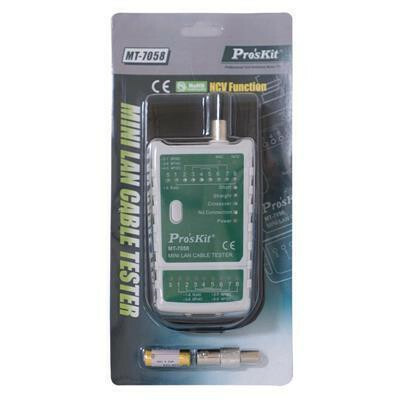 I'm much more likely to have a spare 9V lying around - then again I suppose this is a 'mini' cable tester. Don't be fooled by the 12V AE23 battery listed on the 'Features' tab - this is shipped without it. Just an empty blister where it should be in the packet (we thought it had fallen out). Apart from that it works as advertised - useful if you're making up a bunch of custom length cables, or chasing a fault.Don't be fooled by the 12V AE23 battery listed on the 'Features' tab - this is shipped without it. Just an empty blister where it should be in the packet (we thought it had fallen out). Apart from that it works as advertised - useful if you're making up a bunch of custom length cables, or chasing a fault. BATPAN3005 Panasonic LRV08 genuine Alkaline 12V Car Alarm Battery 1 Pack Also known as: L1028 / RVO8 / 23A / MS21 / MN21 / E23A / K23A / V23GA / GP23A / 8LR932 / 8LR23 / VR22 / 8F10R 1 $2.95 +GST$3.39 inc. Normally: $39.00 Normally: $44.85 $33.00 ex. $37.95 inc.